Martin Ruef is the Egan Family Professor of Sociology and director of Markets and Management Studies at Duke University. He is the author of The Entrepreneurial Group and the coauthor of Organizations Evolving and Institutional Change and Healthcare Organizations. One of the enduring questions about the end of slavery in America is what happened to the South’s planter aristocracy. In Origins of the New South, the historian C. Vann Woodward argued that there were only a “few survivors of the old planter class” who were able to prosper within the new economic order. Others, such as the late John Hope Franklin, have debated Woodward’s conclusion, offering a thesis of planter persistence in which the South’s planter class maintained its power or reinvented itself after the Civil War. Both perspectives tap into the roots of broader scholarly inquiry into the survival of conservative, pre-capitalist elites amid processes of economic reform and industrialization. The Page 99 test brings Between Slavery and Capitalism to the heart of this issue. While earlier historiography relies heavily on surviving biographical materials from planters themselves, this part of the book assembles Census data on the top one percent of wealth holders in the U.S. Lower South in 1860 and 1870. On the whole, the evidence weighs against the intuition that the wealth of the Southern planter class was rapidly disrupted by the war and the end of chattel slavery. In 1870, 72 percent of the wealthiest residents in the South had been born in the Confederacy. Even during Radical Reconstruction, there was little indication that Yankee carpetbaggers migrating from the North had come to dominate the pinnacle of the Southern wealth distribution. Moreover, the occupations of wealthy Southerners continued to tilt strongly toward landownership and agrarian pursuits. In 1870, two-thirds of the wealthiest Southerners were either planters or rentiers (that is, individuals with substantial landholdings who were not working the land themselves). The largest transformation in the postbellum South’s elite was not a shift away from native-born Southern whites or plantation owners, but from individuals who were actively involved in managing plantations to rentier capitalists, who preferred farm leasing or tenancy. The discussion on page 99 faithfully represents one of the central tenets of the book – that the institutional transformation after slavery did not produce predictable shifts in class structure, but lingering uncertainty about the status hierarchy of the New South. Kenneth Dyson is Professor of Politics in the Department of Politics and International Relations at Cardiff University. Edward Dolnick is the author of The Clockwork Universe, The Forger's Spell, Down the Great Unknown and the Edgar Award-winning The Rescue Artist. A former chief science writer at the Boston Globe, he has written for The Atlantic Monthly, the New York Times Magazine, and many other publications. 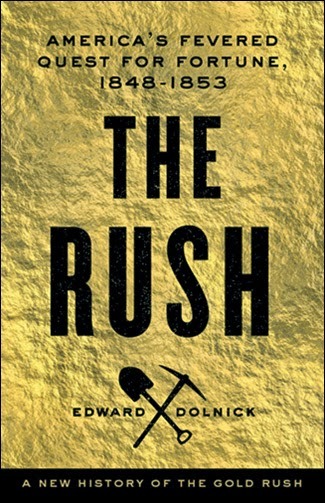 The key to the Gold Rush story, the single most important fact of the whole saga, is that Americans in 1849 had never experienced such a thing. Everyone knew that the world could fall apart overnight. What no one imagined was that good news could arrive just as suddenly. And then it did! When the president himself declared that all the rumors were true – California’s gold was real! – tens of thousands of young men quit their jobs, abandoned their families, and set off for the gold fields. They had not the least notion of what they were in for. Once across the Missouri River, one historian wrote, “civilization ended and the Middle Ages began.” And, because the trip was expensive, lots of emigrants were clerks or lawyers or doctors, greenhorns rather than outdoorsmen. They shot one another by accident. Their mules ran off. They tried to cross a river and drowned. They tried to take a shortcut and starved. My goal in The Rush was to capture their voices and make vivid what it was like to live in a world that had, without warning, turned upside down. Page 99 finds us poised on the brink. A handful of restless young men lament their cramped fates. In Wisconsin, teenaged Lucius Fairchild could hardly bear to think that he was stuck behind the counter of his father’s store, “showing rags to the ladies of Madison.” Rural life was no better. In Mark Twain’s Hannibal and in countless towns like it, “the day was a dead and empty thing,” despite all the era’s talk of progress. The sun beat down, a fly buzzed against a window, the town drunk rolled over, life drowsed on. Then came the astonishing news and the stampede to the gold fields. The lure was money, beyond a doubt, but freedom played nearly as large a role. You didn’t have to follow behind a horse for the rest of your life or copy legal forms in an office or live under your father-in-law’s thumb. You could leap out of the rut that fate had assigned to you. If you had nerve and luck and ambition, you could get rich. This was new in American history, and astonishing. The Declaration of Independence had given every American the right to pursue happiness. The gold rush promised the chance to catch it. David Thunder's "Citizenship and the Pursuit of the Worthy Life"
David Thunder has been a research Fellow at the Institute for Culture and Society, University of Navarra, Spain, since September 2012. Prior to moving to Spain, Thunder served as a visiting assistant professor at Bucknell University and at Villanova University, in addition to completing two years of postdoctoral research – one year at the Witherspoon Institute and the other in Princeton University's James Madison Program. His work has appeared in publications such as the American Journal of Political Science, Political Theory, and the Critical Review of International Social and Political Philosophy. The central goal of the book, as stated in its preface, is "to rehabilitate an ethically grounded ideal of citizenship and public service, one that refuses to separate political endeavors from the quest for human excellence" (xi). Classical authors, such as Plato and Aristotle, viewed all domains of human action as expressive - at least, ideally - of the agent's commitment to live a decent or worthy human life. Modern thinkers, such as Luther, Machiavelli, Hobbes, and Locke, have tended to insulate political action from citizens' ethical and/or religious ideals, in the name of liberty, public order, toleration, or public reason. Citizenship and the Pursuit of the Worthy Life challenges this modern effort to "quarantine" political reasoning from fundamental ethical commitments - associated in recent times with thinkers such as Rawls, Niebuhr, and Walzer - and attempts instead to develop an "integrationist" vision of citizenship that permits citizens to give full play to their deepest ethical commitments in their role as citizens and public officials. The motivation for this project is my convictions that the insulation of public life from citizens' ethical commitments puts in jeopardy not only our integrity as persons but also the legitimacy and moral resilience of our political communities. [g]iven Rawls's rather permissive understanding of conceptions of the good, it is far from obvious that they can be treated indiscriminately as sources of illicit bias in the selection of principles of justice, analogous to social status, wealth, or race. While some conceptions of the good, such as that of the single-minded hedonist or careerist, are patently self-serving, others, such as that of the educator or human rights campaigner, may be sincerely oriented toward a worthy human life, which might involve, among other things, the creation of a better and more just social order for all. While we might preemptively rule out narrowly self-serving conceptions of the good as irrelevant to the principles of justice, it is much less obvious why we should rule out more other-oriented, caring conceptions of the good as valuable and relevant sources of insight. 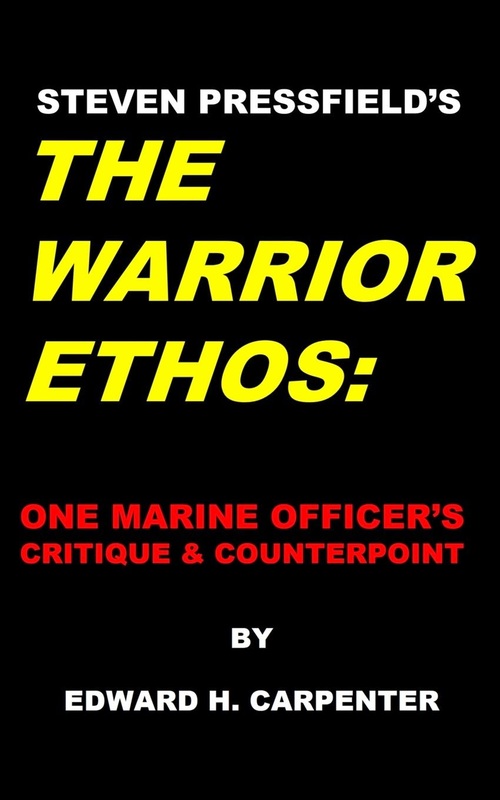 Edward H. Carpenter's "Steven Pressfield's 'The Warrior Ethos'"
Edward H. Carpenter is a Marine officer who has served around the world, from Afghanistan to Indonesia. With a Master’s degree from the Naval Postgraduate School, he has taught International Relations as an adjunct professor for the University of Maryland University College, speaks French and Indonesian, has written for the Marine Corps Gazette and published several works of fiction. The Page 99 Test works well to showcase the counterpoint that makes up the second half of the book, but to set the stage, it’s important to touch upon the critique that forms the first part of my work. Steven Pressfield is best known for his historical fiction such as Gates of Fire, but in 2011 he wrote a short book titled The Warrior Ethos that was selected by the Commandant of the Marine Corps as a “must-read” book for all Marines. That’s unfortunate, because the basis for Pressfield’s proposed ethos are ancient Greek cultures (specifically the Spartans and Alexander the Great’s Macedonians) and modern tribal societies such as the Afghan Pashtuns. It might be tempting to dismiss that as so much hot air, but he’s a convincing writer, and his words have had three years to work on thousands of young and impressionable minds; thus I spend the first part of the book debunking his fallacious lines of reasoning and holding up historical fact (from Plutarch, Herodotus, Thucydides, and others) against the often fictitious accounts that Pressfield cites to support his case. Finally, all warriors will benefit from fighting an enemy who knows that combat is a last resort; that on our side it will be hard-fought, but always within the laws of war, and that we will never inflict civilian casualties as a means of limiting our own. Our enemy must know that if taken prisoner, they will be accorded their rights under international law and that if any member of our forces commits an atrocity, they will be prosecuted with fairness and transparency. And our Nation must know that it can entrust its sons and daughters to our ranks; not to be broken down with shame, not to pumped up to “avenge every insult”, and not to suffer from high rates of sexual assault and suicide, but to be tested and tempered in the forges of our basic training curriculums with firmness, fairness and dignity, and to be led always by officers and NCOs who use the tools of empathy, education, and empowerment to set an example worthy of our enlightened age, so that whether a modern warrior serves four years or 30, that they return to civil life having grown as a person and having developed their abilities to lead, to follow, and to work as a member of a team. This page neatly summarizes the desired outcome which can be obtained if we adopt an ethos based on something other than shame and misogynistic Bronze Age honor codes. Although it only captures the essence of the second half of the book, I believe it succeeds in revealing "the quality of the whole." All in all, I would consider this to be another success for the Page 99 Test! James Pattison is a Professor of Politics at the University of Manchester. Page 99 of my book is concerned with a specific issue – whether we should oppose the use of private military and security contractors, such as Blackwater contractors in Iraq, because they cannot be morally required to make the ultimate sacrifice. It is sometimes suggested that, unlike soldiers in the regular armed forces who explicitly consent to sacrifice themselves, private contractors do not take the vow of self-sacrifice. This is problematic, the argument runs, because it can undermine military effectiveness. 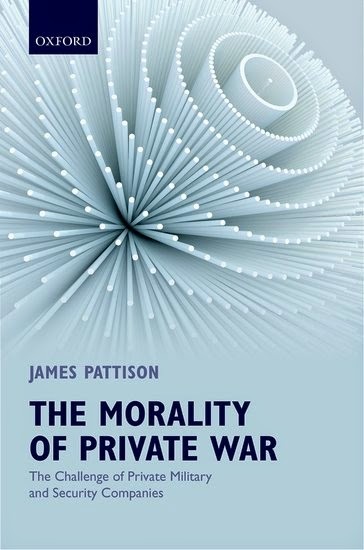 The book in general provides a critique of the privatisation of military force. I argue that there are numerous ethical problems with relying on private military and security companies (PMSCs). These problems, I suggest, are not simply ones that can be addressed by improving the currently weak regulation of the private military and security industry. One of the key aims of the book is to argue that there are deeper problems with the use of these firms, such as their undermining of democratic control, the weakening of military effectiveness, and the problematic motives of private contractors. These problems mean that we should oppose generally the use of private military and security companies. If we are to fight wars, it is better that we use the regular military to do so. even if private contractors do not consent to risky operations, it might still sometimes be permissible to coerce them to act, if this is feasible. Most generally, it can be permissible to force individuals to save the lives of others, even without their consent. Why can we force people to take on great risks, even without their consent? Could I point a gun to your head and force you to enter into a burning building to save 20 small children who would otherwise die, against your wishes, with a high risk of death for you? In the case of 20 children, I’m not sure. But suppose that now you could save 500 children. Could I force you to save them? I argue that you could. What this means is that, even if private contractors do not consent to being subject to risks, they might still justifiably be forced to fight and to take on great risks, if doing so will save many lives. For instance, if commanders in Iraq were in a situation where they could have forced private security contractors to save the lives of many innocent Iraqi civilians, they should have done so, even if the contractors did not agree to this. Even though I suggest that there is not a major difference between private contractors and regular soldiers in terms of whether they can be sacrificed, more generally this section argues that there is a related problem in terms of private contractors that means that we should favour regular soldiers. The problem is that it is very hard to ensure that, even if private contractors do consent to take on risk operations, they will in fact do so. They may refuse to take on justifiable military operations to which they sign up, and this can undermine military effectiveness. The state employing the services of the firm has far fewer means to ensure contractors will act than when it relies on the regular military. This, I suggest, is one of several problems with the use of private military and security companies. Andrew Stephen Sartori is Associate Professor of History at NYU, author of Bengal in Global Concept History: Culturalism in the Age of Capital (2008), and coeditor (with Samuel Moyn) of Global Intellectual History (2013). My book is a vernacular history of colonial liberalism that moves beyond the more familiar terrain of self-conscious political thought to explore the movement of liberal ideas about freedom and property not only in terms of their compatibility with the interests of capital, but also in terms of their capacity to ground a critique of capital and empire. 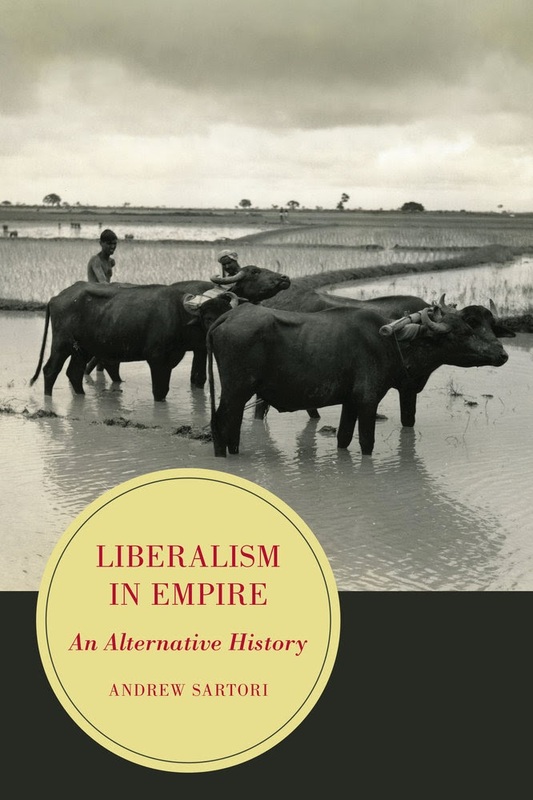 Page 99 of Liberalism in Empire brings us into the early stages of a debate in 1850s Bengal about the legal standing of peasants contracting to cultivate indigo on their holdings for European planters. Those sympathetic to the peasants argued that the cultivators were not employees because both parties to the contract were independent capitals engaged in commercial exchange. Intensified by the deepening of the peasant discontent that had occasioned it, this debate provided the immediate occasion for a wider set of claims about the social status of the Bengali cultivator: namely, that peasants were independent producers with a customary claim to an interest in the soil. Its most radical champions understood the authority of custom to be grounded not merely in prescriptive authority, but in the rational foundation of a history of labor. At stake here was a very radical claim: that the customary order of agrarian society in Bengal was in fact primordially a civil society based on the property-constituting powers of labor – and correlatively, that colonial law was answerable to the rational normative underpinnings of that society. Unsurprisingly given the circumstances of its emergence, this liberal discourse of custom resonated with the demands of indigo-cultivating peasants to be released from obligations to continue cultivating the plant so as to be able to participate more extensively, more equitably and more profitably in practices of commodity exchange. The cultivator demand to be recognized as an independent producer of commodities provided a framework for the incorporation of the Lockean premises of the liberal discourse of custom into the increasingly articulate peasant politics of the early twentieth century. The insistence on the property-constituting power of labor, and on its normative significance for political life, would come to be deeply ingrained in both explicitly secular movements for the rights of cultivators and tenants, and explicitly religious movements for the rights of Bengali Muslims – and in this way it would play a significant role in shaping the popularity of the Pakistan demand in the Bengal countryside in the 1940s. Learn more about Liberalism in Empire at the University of California Press website. David P. Baker is Professor of Education and Sociology, and a research scientist at the Center for the Study of Higher Education and the Population Research Institute at Pennsylvania State University. He is coauthor of National Differences, Global Similarities: World Culture and the Future of Schooling with Gerald LeTendre, and a frequent contributor to scholarly journals on education. “Ice Cream, Women’s Studies, and the MBA.” If you look at Page 99 of The Schooled Society you’ll find the first page of Chapter 5, which is titled “Constructing Reality: Ice Cream, Women’s Studies, and the MBA.” Just below this trio, you’ll find a quote that prefaces the body of the chapter and captures the essence of the book. From the fuel economy of cars to getting pregnant, from stealth technology in war to teenage rebellion [all are] to be understood in a day-to-day basis around basic natural-scientific understandings. The process at work here is the reverse of that which gave rise to the applied sciences over the century. In [that] case, society penetrated university sciences ... now [university] sciences penetrate society. Rather than thinking of education as the systematic discovery or rote memorization of knowledge, I argue that we should think of education as an institution that penetrates and changes broader society. While universities responded to outside forces, they also independently invent new fields of study that shape culture and our shared sense of meaning that in turn reshape other institutions of society. For example, the popular fields in Women’s Studies and Business Administration in the latter half of the 20th century were more a creation of an academic process in conjunction with social trends, than the university just responding to outside social change. In doing so, universities legitimated these fields and changed society. As a field, Women’s Studies helped foster new knowledge and changed conceptions of equity and changed the way we talk and think about gender—leading to the founding of new academic departments around the world. Similarly, universities created the Master’s in Business Administration degree. The MBA has, in turn, become part of the formalization of knowledge in the fields of business and economics, in a sense making the language of theoretical behavioral and social science its basic paradigm for management of large organizations of all kinds. The effects of business education even reach to the way we think about how we should run non-profits, public services, and governments (the credibility of business leaders such as Mitt Romney and Michael Bloomberg as qualified stewards of our governments comes to mind). These are just two examples of the effects of education on our society. Throughout the book I explore how over the last century, education has become an institution that affects health, economics, religion, and politics around the world. We often forget that only 100 years ago, most of the world’s population was illiterate. As education has become universal, the positive effects of education have spread across the globe—and the world is a better place because of it. Learn more about The Schooled Society at the Stanford University Press website and David Baker's research website. Jason McGraw is associate professor of history at Indiana University. Page 99 represents something of a pause in the main action of my book, as well as a turning point in the story I tell about the consequences of slave emancipation in Colombia. The skinny on my book is that emancipation in 1851-1852 led people to fundamentally reconsider the meanings and practices of citizenship. For the majority of the population, already free when the remaining slaves were liberated, the event heralded expansive new rights, civil equality, and a rethinking of hierarchies and prejudices. 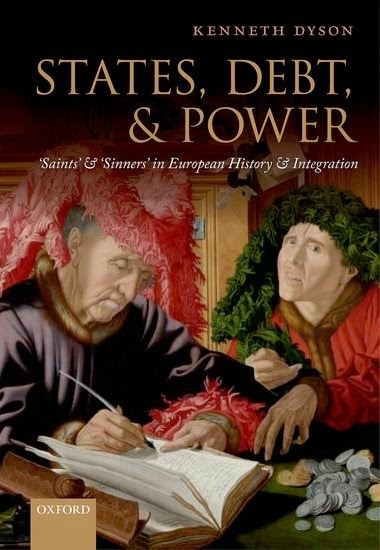 Many social relations seemed up for renegotiation, including those in marriage, the market economy, the Catholic church, and partisan politics. By putting emancipation to other (universalizing) uses, however, the freedom struggles of former slaves and their allies went unacknowledged. Moreover, by the 1880s, conservatives as well as many liberals and former abolitionists had cast their lot with order-and-morality to counter both legal equality and the continuing agitations of plebeian citizens. Page 99 is the first page of chapter four, “The Lettered Republic.” The chapters that precede and follow it focus on labor, religious, and political struggles on the country’s Caribbean coast, whereas here the perspective is a “national” one of rarified literature and law that emanated from Bogotá, the country’s capital. It also brings the story to Candelario Obeso (1849-1884), a poet, civil servant, and one of only two men of African descent with a national reputation in nineteenth-century Colombia. (Roughly one-quarter of the country’s population was, and is, of African descent.) It was Obeso, through published critiques of the lettered republic’s exclusion of black men, who inspired me to write about citizenship as the problem of emancipation. All the others are sickly and of an ambiguous race. Their endeavor is to be white and pretty. For me, it is an honor to be black and my ugliness delights me. Human regeneration is in my race. Science has already said this. Obeso was an Othello without a Desdemona who would love him. This final quote illuminates the turning point in the book, where the ruling class disavowal of Obeso’s demands for recognition stands as a metonym for the wider rejection of the democratic challenges it faced after emancipation. Learn more about The Work of Recognition at The University of North Carolina Press website. Hassan Abbas is Professor and Chair of the Department of Regional and Analytical Studies at National Defense University’s College of International Security Affairs in Washington, D.C. He is also a Senior Advisor at the Asia Society. The selected passage from my book (page 99 to be specific) indeed reflects some of the most important themes of the work. The idea of Taliban, both among Afghans and Pakistanis, derived nourishment from a variety of sources ranging from extremist religious thinking and criminal networks to authoritarianism and dubious role played by state agencies. The text below provides an insight into how Pervez Musharraf, a Pakistani military dictator, created space for Taliban through his mistaken policies. He was no doubt progressive and pro-Western in his worldview but his authoritarian way of governance and sidelining of democratic institutions (as defective as they were) helped Taliban revival. Secondly, the rise of religious political parties in Pakistan in the post 9/11 setting – which Musharraf had coopted to create political space for his personal ambitions – also empowered religious radicals. The idea of Taliban in itself is weak and flawed and is partly nurtured by the distortion of Islamic teachings, but support from within the government circles supplement Taliban power. (Musharraf) made all the right noises when he met Western leaders, but his decisions on the ground shattered the country. But to give credit where credit is due – Musharraf did take some bold policy initiatives. The trouble is, those decisions were seldom implemented. By 2002, Musharraf had assumed the title ‘president’ after a flawed referendum. National elections were also held in response to public demands for a return to democracy. Musharraf realized that Pakistan was not short of politicians who, given their feudal background and vested interests, would be ready to join hands with a military ruler in the ‘national interest’. And his assessment was spot on, though the political wing of Pakistan’s (intelligence agency) ISI also played its traditional role in inspiring the creation of a new political force – basically old wine in new bottles – to form a pro-Musharraf government in Islamabad and the four provinces. But what happened in the Khyber Pakhtunkhwa Province (then known as NWFP) was both mysterious and unprecedented. The political rise of Muttihada Majlis-e-Amal (MMA – United Forum for Action) was meteoric. Formed in 2002, this coalition of five religious political parties won the provincial elections in NWFP (and even emerged as the leading opposition party in the National Assembly of Pakistan). This created a propitious environment for radicalization to flourish in the province. It was an amazing achievement for this assortment of religious parties, associated with various Muslim sects and with divergent political agendas, to come together in government. The alliance comprised the Deobandi-dominated Jamiat Ulema-e-Islam (JUI), the Barelvi- oriented Jamiat Ulema-e-Pakistan, the traditionally Islamist Jamaat-e- Islami (JI), the Shia Tehrik-e-Jafria Pakistan, and the Wahhabi-inspired Jamiat Ahle Hadith. The alliance made full use of prevailing political opinion, which was highly exercised by the foreign presence in Afghanistan and by Pakistan’s involvement in the ‘war on terror’, both of which were seen in the country as very controversial campaigns. 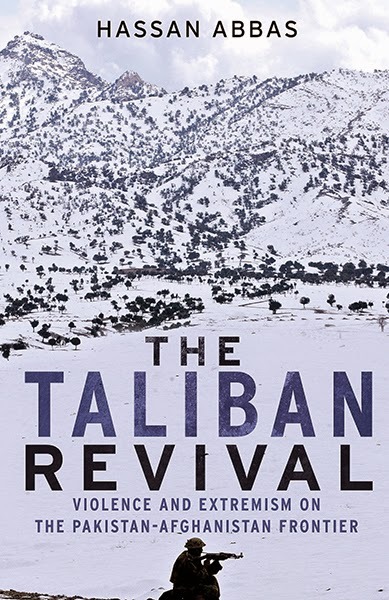 Learn more about The Taliban Revival at the Yale University Press website. 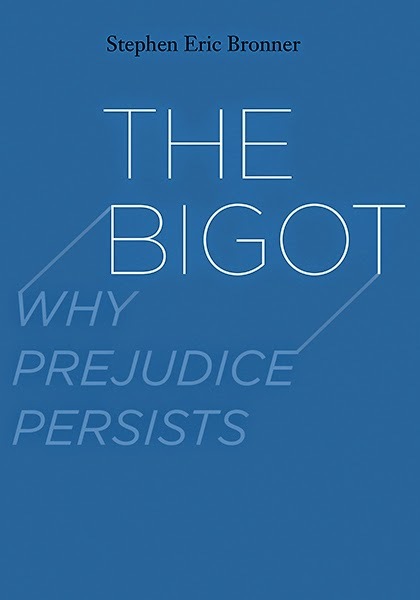 Stephen Eric Bronner's "The Bigot: Why Prejudice Persists"
Stephen Eric Bronner is a noted political theorist and Distinguished Professor of Political Science, Comparative Literature, and German Studies at Rutgers University in New Brunswick. He is also Director of Global Relations for its Center for the Study of Genocide and Human Rights and on the Executive Committee of UNESCO Chair for Genocide Prevention. His books include Modernism at the Barricades: Aesthetics, Politics, Utopia. Learn more about The Bigot at the Yale University Press website. The Page 99 Test: Modernism at the Barricades. For some reason – maybe that fictional, 100-year-old Swede who climbed out the window is to blame — a lot of people think Olga Kotelko is a character I made up. I didn’t. 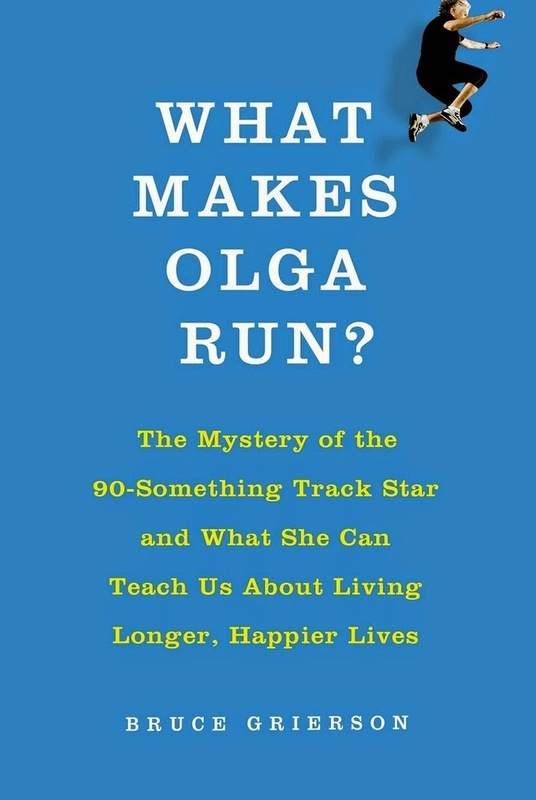 Olga really was a nonagenarian Canadian track star who competed in eleven events, and notched 50 world records, and challenged a lot of what we know about human potential. And that picture of her on the book cover, where she’s launching herself over a long-jump pit, that’s not Photoshopped. She was flying. Olga really could leap and sprint and throw things like nobody’s business. Olga and I, we made it our business to try to figure out what was going on with her, right down to the molecular level. Here was a woman who seemed more resistant to the ravages of aging than just about everybody else. If we could understand her resistance a bit better, maybe that would tell us about what the forces she’s resisting are – that is, why we age. What Makes Olga Run? unfolds, then, as a scientific mystery. I organized a research plan and Olga gamely submitted to all manner of poking and probing as we visited the labs of some of North America’s top experts in physiology and neurology and gerontology. 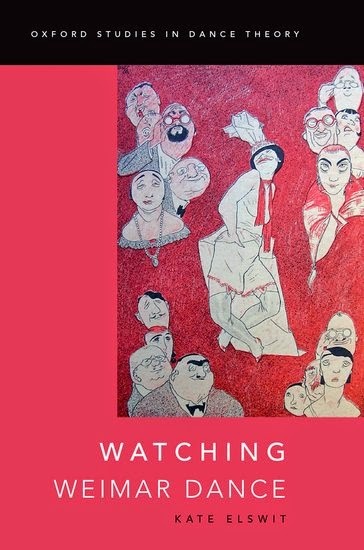 By page 99 the reader has had a pretty good look at Olga from the neck up. We’ve travelled to the University of Illinois at Champaign/Urbana to have her brain scanned by scientists at the Beckman Institute for Advanced Science. And we’ve explored an evolutionary theory of Olga: what if part of the secret of her robustness is that she had lived a life exactly in accord with the design specs of the human machine? Now we’re going in tight on her bulletproof body. Page 99 takes place in a lab at the McGill Brain Institute – the storied place where Wilder Penfield first mapped the noodle of Homo Sapiens. In this pilot study, Olga, alone in her Lady Gaga vest, is the guinea pig. Her results will be leveraged for more funding to expand the study to include elite masters athletes from all over the world. And as much as [study-leader Tanja] Taivassalo wants new blood, she also wants Olga back in two years, to see what has changed in her body in that time. She is shining a pinprick of light into the physiological void. “No one, as far as we know, has ever done these measurements in someone this old,” Taivassalo says. Today’s treadmill test will yield a VO2 max score for her aerobic capacity. Olga’s job is to go for it, against increasing resisting, as long and hard as she can. A grad student rubs Olga’s right ear with a cream to draw blood to the surface for extraction. Olga is now hot and her throat is dry and her ear hurts and the mouthpiece chafes. She is ready to rock. Ken Miller is Associate Professor of History at Washington College. It appears that Dangerous Guests passes the “Page 99 Test,” given that the page in question highlights one of the book’s central themes: how the presence of wartime captives prompted Revolutionaries to invent themselves and their enemies anew. Page 99 features the argument for Chapter 4, “’Tis Britain Alone That Is Our Enemy: German Captives and the Promise of America,” which investigates the Revolutionaries’ initial interactions with their first German prisoners, the much dreaded Hessian mercenaries, feared and reviled throughout the rebellious colonies. The Hessians’ capture at the Battle of Trenton in late 1776 came on the heels of the exchange of the Americans’ earliest British captives, seized during the patriots’ Canadian campaign a year before. Harboring bitter resentments of their American captors, these defiant and spiteful British prisoners had antagonized their local hosts, who greeted their adversaries’ long-awaited departure with sighs of relief. By contrast, the Revolutionaries’ new Hessian prisoners soon emerged as a surprisingly compliant set of captives, with many even aiding the American war effort by voluntarily laboring as temporary hired hands in the fields and shops of their new local employers. As the war progressed, more and more Revolutionaries approached their German prisoners as potential allies in their ongoing struggle for independence, even as the breach widened with their erstwhile kinsmen the British. Learn more about Dangerous Guests at the Cornell University Press website. The prisoners called it “Bop City”—the New Deal-era reformatory prison at Coxsackie designed to rehabilitate the young male offender. Nearly as soon as it opened, high ideals gave way to grim reality. Violence was one of the main features of life behind bars there, and page 99 gets right to it. Some of the violence was formally sanctioned, like the popular boxing program that produced two future world middleweight champions in Rocky Graziano and Jake LaMotta. LaMotta recalls here how well appointed the gym was, and how popular with the young inmates. Page 99 highlights another important element of Coxsackie—the voices of the inmates themselves. While a historical account of life behind bars inevitably will fall short of the richness of actual lived experience, it was my hope that those who spent time behind cars there would recognize it as an honest and authentic account. Toward that end, Coxsackie uses inmate testimony wherever possible. Page 99 shows two kinds of testimony. The first is drawn directly from the actual prison case files, such as the young man who swears to authorities that, “even if God hit me, I’d swing back.” The second is taken from former inmates who included accounts of the prison in their later autobiographical work. LaMotta’s account, for example, is taken from Raging Bull. Tens of thousands of young men spent time in just this one prison. In their day, they were largely invisible, their voices mostly muted to the outside world. Coxsackie represents an attempt to hear what they were saying. My Book, The Movie: Coxsackie. 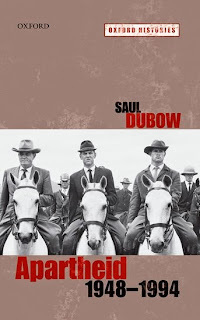 Born and brought up in Cape Town, Saul Dubow has degrees from the universities of Cape Town and Oxford and is now Professor of African History at Queen Mary, University of London. He has published widely on the development of racial segregation and apartheid in all its aspects: political, ideological, and intellectual. Page 99 of Apartheid 1948-1994 opens chapter 4, entitled `Apartheid Regnant’. It begins to sketch out the decade of the 1960s, the moment of `high’ apartheid, as white supremacy reached its height. Following the 1960 Sharpeville massacre, when black anti-pass protesters were shot by panicked policemen, the leading liberation movement made the decision that peaceful protest had no future. Several groupings, most notably the ANC’s armed wing, Umkhonto we Sizwe, embarked on campaigns of sabotage and armed resistance. By 1964, however, the state had driven the liberation movements underground and into exile. Economic prosperity was a feature of the 1960s with whites as the major beneficiaries. By the end of the decade whites, who numbered less than one-fifth of the total population, commanded around 75% of the country’s share of income. New consumer spending, modelled on American patterns, encouraged the development of ranch-style houses in the white suburbs. These households were maintained by poorly treated servants known as `maids’ who had no rights to live in white areas without a pass. White society appeared impregnable. But deep social tensions were giving rise to new forms of political expression as the ideology of `black consciousness’ began to capture the imagination of young black students based in seminaries and in the second-rate `tribal’ universities that were created by the apartheid state to satisfy its fantasies of ethnic-cultural autonomy and rigid separation. The continuing dependence of the growing white middle class on cheap and exploitable black labour rendered the system of apartheid vulnerable. Externally, the killings at Sharpeville made `apartheid’ anathema. In the age of decolonisation, anti-racism, and international human rights, South Africa came to typify everything that liberals and socialists stood against. Anti-apartheid became a global social movement in the 1960s. Its enemies were not only the South African government, but also western governments which, in the context of the Cold War, chose to appease apartheid’s rulers on account of their pro-capitalist and firm anti-communist stance. The approach to apartheid in this book focusses not only on why apartheid came to an end, but also on why it persisted for so long. In explaining this, we need to take account not only of resistance to apartheid, but also on the capacity of the system to adapt, to command compliance, and to retain legitimacy in the eyes of its supporters. Learn more about Apartheid, 1948-1994 at the Oxford University Press website. The West is the “machine,” but the East is “beauty” and “art,” which turns out to be a fundamental doctrine for Ernest Fenollosa, who was extremely worried about the frantic industrialism he saw happening throughout the world in the 1890s. Buddhism, for Fenollosa, was the answer to all our problems with the “machine.” Zen will help you with your technological dilemma, in other words. Except--and here I must confess, this is where I really think the “quality” of my work as a scholar must step in--the truth is, Ford never actually said, “Open the book to page ninety-nine and read, and the quality of the whole will be revealed to you.” In fact, I have serious doubts he said anything like it. William Gass’s 2006 collection of essays, A Temple of Texts, tells us that Ford had a “page ninety-nine test,” which Gass then summarizes with those words. But it’s not a quotation by Ford, as has been circulating on the Internet since then, and, what’s worse, I think Gass must have been misremembering, or simply inventing, the entire thing. Simply put, there doesn’t exist, at least that I can find, any source for any “page 99” test before Gass. Indeed, this is true, if by “barely” Mr. East means, not at all. Ford died in June of 1939 at a clinic in Deauville, France, and there is no record of him saying anything like it. But I suppose we shouldn’t put too much blame for this on Mr. East. He seems to have invented the “1939” source for the quotation, but Gass seems to have invented the whole “page 99 test” in the first place, which is now everywhere online. (Of course, as a scholar, I am always willing to entertain the possibility that I have missed something here. I await further clarification from Mr. Gass--who will be 90 this month-- or anyone else who might have a source for this idea. But at the very least I think we have been circulating a “quotation” for a source that is, at best, highly suspect). Perhaps some readers will say it doesn’t matter. But here I disagree. Indeed, I believe we live in an era that has become so fully overloaded with technology and information that we have started coming up with things like “page 99” tests, simply because we cannot cope with the massive storm of texts, gadgets, and programs that invade our lives at every turn. We want for there to be a dazzlingly efficient “page 99 test” to cut through the clutter, to locate for us just the “essence” and “quality” of a work. Then we can let go of the rest. 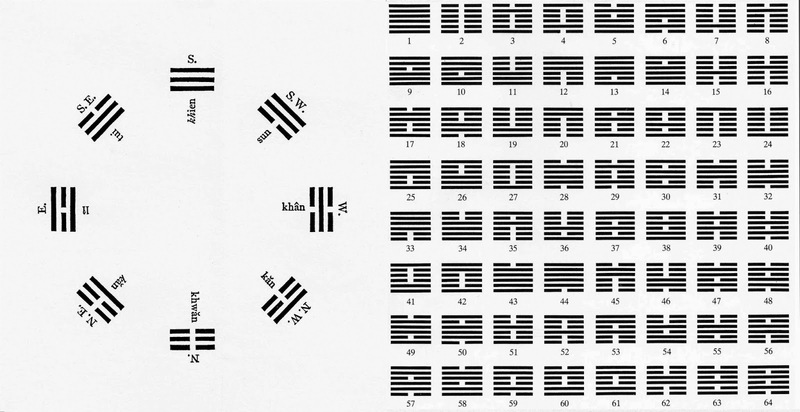 Such an approach, I would argue, is yet another instantiation of the whole regime of “Zen and the Art of …” (which I discuss, on page 198--so, sorry, you might have to read on a bit). In this case, we are talking about something like “Zen and the Art of Reading,” and it no doubt makes for a pleasurable dipping-of-one’s-toes-into-books, but it’s very bad history, and I believe we really need good history, perhaps now more than ever. 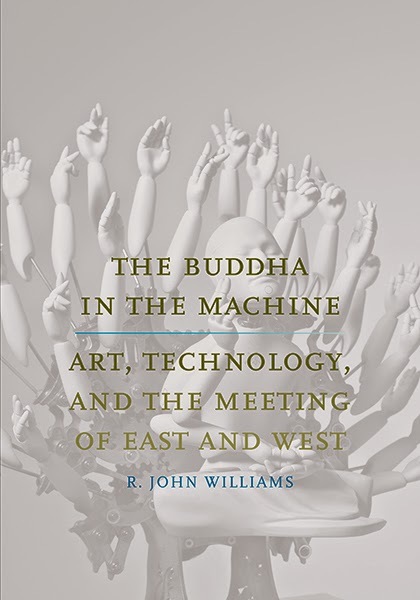 Learn more about The Buddha in the Machine at the Yale University Press website. I don’t know how often this rubric hits exactly the right mark, but page 99 happens to be the page in which I report the coefficients for a key statistical model estimating the effect of information gathered via informal social networks on the likelihood of a ship of the English East India Company traveling to a port in Asia. 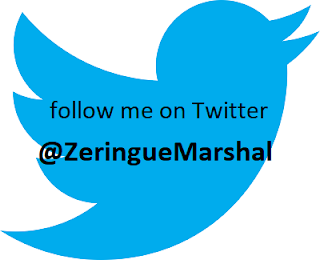 It is indeed a central moment in the book, which revolves around the way that social networks gave the English Company a significant competitive advantage, and thereby shaped two core institutions of capitalism, the multinational corporation and global market structures. There is a tendency to think of social networks as a recent phenomenon, given the rise of Facebook, LinkedIn, and other network media platforms. But the book shows that social networks were crucial to the evolution of the company form, particularly in the English East India Company. The title, Between Monopoly and Free Trade, refers to two different transitions, one in time and one in organizational structure. The English Company was a nationalist monopoly and product of the mercantilist age of strong government interventionism and protectionist economic policies, but survived well into the age of free trade – and indeed has a large hand in promoting the adoption of liberal trade policy in Britain. The organizational structure of the company evolved in a way that allowed for individual incentives to prosper as employees were allowed to trade for their own profit while employed by the firm -- as if Fed Ex employees were allowed to run a profitable local courier service on the side. It sounds like an unlikely arrangement in our age of non-competes, but was enormously profitable for the firm. It turns out that social networks were an essential ingredient in the glue that kept these otherwise potentially unruly entrepreneurial individuals tied to the larger company, injecting the entire enterprise with some desperately needed innovation and dynamism. Thus the company was a little bit of a monopoly and a little bit of a free market, with the parts held together by social networks. Learn more about Between Monopoly and Free Trade at the Princeton University Press website. Eric Grynaviski is an Assistant Professor of Political Science and International Affairs at George Washington University. His research interests include studying international security and U.S. foreign policy from sociological and ethical perspectives. His work is forthcoming or appears in International Organization, the European Journal of International Relations, and International Theory. Grynaviski earned a Ph.D. from the Ohio State University in 2010. Constructive Illusions takes a stab at the conventional wisdom in International Relations, whereby many agree that more information and fewer misperceptions about adversaries enhance the prospects for cooperation. This book’s central claim is that states can form what French president Valéry Giscard d’Estaing called "a superb agreement based on complete misunderstanding." Mutual understanding can lead to breakdowns in cooperation by revealing intractable conflicts of interest, identity, and ideology. Incorrectly assuming a mutual understanding exists, in contrast, can enhance cooperation by making actors confident that collaborative ventures are in both parties’ best interest and that both parties have a reliable understanding of the terms of cooperation. While the best examples likely come from love and friendships, where it is sometimes better not to know certain things about those you care about, I concentrate on cooperation during the 1970s, when the superpowers reached more than 150 agreements on issues ranging from arms control to trade. Often, International Relations scholars suggest that this pattern of cooperation emerged because Nixon and his National Security Adviser, Henry Kissinger, developed a mutual understanding with the Soviet leadership about the limits of competition. I argue that this is dead wrong. The superpowers never understood what the other wanted out of cooperation. If they had known, they would never have chosen to cooperate. Misperceptions, in other words, can be constructive illusions. I cannot imagine a better page to turn to when reading Constructive Illusions. Page 99 is in the middle of a chapter talking about the origins of the Anti-Ballistic Missile Treaty, where I describe three instances in which Kissinger and the Soviet Ambassador, Anatoly Dobrynin, failed to reach a mutual understanding about the agreement. I argue that each of these misunderstandings moved the process further along. Nixon was ecstatic about making a prime-time television announcement. As Kissinger told Nixon, the agreement would “break the back of this generation of Democratic leaders,” to which Nixon replied, “That’s right. We’ve got to break—we’ve got to destroy the confidence of the people in the American establishment.” After the May 20 agreement, it would have been enormously difficult for Nixon and Kissinger to not conclude an ABM Treaty, especially because they were on record in support of it and had begun the difficult job of explaining to the public why a system that was once so vital to national security was being traded away. The situation was similar for Brezhnev, who declared in March that he was committed to a policy of détente and arms control. As Melvyn Leffler explains, “Brezhnev put the full imprimatur of the party leadership behind the policy of relaxing tensions with the West and negotiating arms-reduction treaties with Washington and NATO.” By issuing the statement that the parties were prepared to negotiate an agreement, Brezhnev invested the process with a sense of purpose that had hitherto been lacking. Was this breakthrough the result of more information being shared between Kissinger and Dobrynin? Did the development of common knowledge allow a breakthrough toward the first significant arms control treaty of the Cold War? In short, no. Concessions were made to reach the agreement because of its ambiguity. The critical issue was what was meant by the phrase “together with.” The guidance Kissinger gave the US delegation was that “together with” meant simultaneous. As Smith interpreted that instruction, it meant spending a few weeks discussing ABMs, and then a few weeks on offensive limitations, and back and forth.Vladimir Semenov, the chief Soviet negotiator, held a different view. The Russian translation used the word “pri,” which is much weaker than “together with.” He concluded that the agreement implied that an ABM deal and the freeze should accompany one another in the final version but that the ABM Treaty would come first in the negotiations. It was this ambiguity that led each side to publicly back the May 20 agreement. I believe this is a success for the page 99 test! Learn more about Constructive Illusions at the Cornell University Press website, and visit Eric Grynaviski's website.